When a child learns good dental care habits at a young age, the child tends to maintain those habits into adulthood. Therefore, teaching your child proper oral health habits now can mean a lifetime of healthy teeth. If your child is extra nervous about going to the dentist bring them along to one of your appointments. I've seen this work wonders with my own patients because the kids get to see what's going on, not guess from the chair. Plus they can ask questions and meet the hygienist and dentist beforehand. This article is so great! I am a first time mom, and my three year old daughter is coming to that age of understanding where I want to teach her how to take care of her body ( shower, clean socks, ect ) - including her teeth! I've been filtering through a lot of information and having a children dentistry give suggestions on how to help your child care for her teeth is so great. When should I start bringing my daughter into a dental office for regular check ups? Is three years old too early? The American Academy of Pediatric Dentistry recommends a child's first visit to the dentist be by one year of age (or 6 months after the eruption of the first tooth) which is usually 1 year of age. Wondering if you can give me some advice. My sons top 2 teeth--central & lateral incisors-- are of concern. They are so close that they are almost pushing each other out, kind of look like they're bulging at the seam, sort of creating a hollow tent underneath the 2 teeth. The central is damaged/broken on the bottom corner (that's how it came in. To me it looks like it just didn't have room b/c of the lateral tooth. Now they are turning slightly gray near the seam. He has 10 teeth on top. I'm pretty sure it's 2 roots, 2 teeth, but they are just so close that they are damaging each other. We will be visiting out dentist when he turns 3 next month. Do you see any reason to be concerned or reason for us to get in to the office sooner? It's hard to say, but darkness between baby teeth could indicate decay. Not always though. Sometimes kid's teeth are crowded or rotated. Sometimes there is actually an extra baby tooth there or something called partial gemination or the like that could make one tooth look kind of strange or have a seam down the middle. So, as always, I recommend seeing a Pediatric dentist. Three months is ok, but sooner is always better. Hmm, great info; '25 percent of children aged 2 to 5 years old in the United States have tooth decay', those are scary numbers! I'll be paying extra attention to my kids' brushing from now on, definitely two times a day, if not three times..! Amazing and great tips about careing of our children dental health you have shared.Thanks for sharing this. 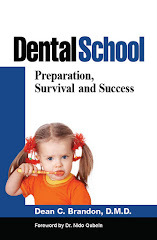 This is a good way and also I shall say this is a fascinating blog to tell others about dental care of their children. Are we that inclined to have our baby checked up after 6 months or just on the first sight of growing a tooth? When it comes to your children’s teeth, look for a highly trained professional to provide the best care. Visit for tips and suggestions. It is advisable to introduce pediatric dentistry to your children as early as age one so the dentist will be able to provide the necessary care for their teeth. I just blogged about this very topic myself. We are really trying to educate parents and pediatricians that we need to see children by the age of one to educate parents, evaluate the teeth that are under the gums, establish a good daily hygiene routine and help the child feel comfortable at the dentist. Please visit my Website at http://www.roselleparkdental.com/. Dental blogging is a good way to make dental practices and services to be more visible and accessible to many target patients. What a great article! I might just have to share it with my Twitter followers. Your child's oral hygiene is very important to his or her overall health and it is never too early start. If you're having trouble getting your children to develop the proper dental hygiene habits I understand. Brushing twice a day for 2 minutes is even hard for some of us adults. If you want a fun way to engage your children in their oral hygiene, the Beam Brush is an awesome product. The Beam Brush is a data collecting manual toothbrush with an Android/iPhone app to help engage, inform, and reward great oral health. Thank you doctor your article was very informative.The parents should also have knowledge on the dental products which are available so that they can take care of their kids even better. I first browsed your web and thank you so much for your professional opinions. I have 12 months old with four decayed upper teeth which were checked out a week ago. The dentist suggested that those teeth should be removed. I was very worried about it, as the little one is so young. Is there any alternative for it? Could the crown be an option? It will take about 5-6 years for growing adult teeth. How will it affect the growth of his other teeth with abscess. What will the consequences be in 5-6 years with abscess? Well T. As you can read here on the blog, a baby teeth that are so far gone that they abscess, usually need to be removed. Saving a baby front tooth can get quite involved--pulpal treatments, a crown--that is assuming there is enough tooth structure left to hold on to after the decay is removed and any pulp treatment done. General anesthesia is usually needed for very young children for such treatments as well. Cosmetically, you can read here not he blog about fake baby teeth and when they are indicated. Good luck. Bad tooth decay on a two year old-why fix them? Children should never allowed to have soft drinks, coffee, tea, and other sugary drinks. Those are not good for teeth. All I can say is, generally, we let the physicians and anesthesiologists evaluate any kids with medical conditions and how to handle anesthesia in the hospital. They do a great job for us. If there are known airway concerns, in office sedation would involve many of the same concerns as far as anesthesia. Yes, we do many small fillings without local anesthesia--each kid is different, but most do very well. If cavities are large, dee, if the child is sensitive, or if you are doing things like removal of teeth, messing around with obviously we use local anesthesia. Seems your concern is behavior (holding still, fussing, moving). I'll leave it up to your pediatric dentist to decide if any of the work is doable. A little movement is ok, a lot is not. Just remember, cavities do tend to get larger and deeper with time--and so does the amount of work required to fix the problem. Good luck. My son is 6 yrs old and half Korean. He lost his first tooth, his central incisor, several months ago. I am concerned because the tooth that has come in, in it's place, is very sharp and comes down to a point! The kids at school call him "shark tooth". I know that this can't be normal the way that his tooth has come in? And I have done so much reasearch and can't seem to find anything on a sharp and pointy front tooth. If you have any information that may help me or ease my mind I would so truly appreciate it! There is always the option of extraction (removal) of badly decayed baby teeth. Otherwise, if restorable, it often takes a good bit of work to do so, including pulpal treatments and crowns. Back teeth often need space maintenance ofter removal. As a pediatric dentist for about ten years now, I can vouch that these are some really great tips. Keep up the good work here! Hi, Hope you can help me. THis may seem a little off topic however I tried finding a similar post that will allow for me to comment. If a tooth is bumped, it may turn card. Read about that here on the blog. Any baby tooth that is infected/abscessed, is usually removed. Adult teeth may have root canal treatments to save them. 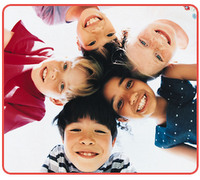 There is a lot here on the blog about restorative dentistry, cavities and young children. Good luck. Dr. Brandon please help! My 13 month old daughter finally had one of her top teeth break through the skin the other is visible but hasn't popped through just yet- last night she bumped her mouth on big sisters knee and the gum area right where the tooth that hasn't came through yet is very bruised does this mean she could have damaged her tooth even though it hadn't came all the way in yet?!?! Thank you so much, concerned Mom! Well. Most traumas like that are not a long term problem. I'd get a pediatric dentist to take a look. Gums tend to bruise or bleed easily with trains. Good luck. I took my 3yr old for a check up yesterday (this was his 2nd visit, but the first was simply a cleaning...no x-rays) to his pediatric dentist. The dentist said that my son has a cavity in each of his front (top) four teeth. He said that he cannot fill them, that the only way to fix them is to pull them and that we aren't to that point yet. He doesn't drink a lot of sweetened drinks & we brush his teeth well, but His teeth are really tight up top. I just had never heard of not being able to fill a cavity & wanted to see if this seemed reasonable or if we should seek another opinion. I know there's no way to know how rapidly the cavities will worsen, but I REALLY don't want him to have 4 teeth pulled at such a young age! Unfortunately, we see kids every week with decay so bad that the teeth are not restorable. What that means is that once you remove the decay, there is no restoration that will stay on, or last the test of time and biting forces--There is usually not much to hang on to. Crowns and nerve treatments are sometimes an option, but once a tooth is too far gone, removal is the best option. Any tooth that is abscessed (infected) is almost always removed. 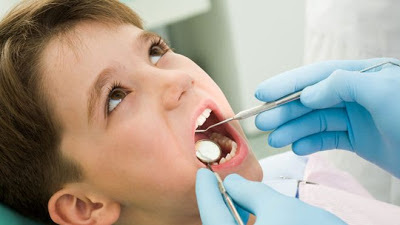 IF teeth are restorable with extensive treatments like root canals or crowns, then behavior control is often the next hurdle--long periods of cooperation, being still, which usually means general anesthesia or something similar for a three year old. So, sometimes possible, but an added hurdle. Thanks so much for your input!! I totally understand that in cases where there's really bad decay that tooth extraction is inevitable. I guess I was puzzled by his statement that "we were no where close to having to extract them" that we would "just watch them longer". My thought was just that if we still had time maybe we could do something to keep the decay from worsening. Thanks again!! November. He was so terrified that he wouldn't even let the dentist look inside his mouth. The dentist suggested GA at our local hospital. He would then do x-rays, clean his teeth, and take care of any cavities that he might have. He was booked for the next six months so, we just recently went through with the procedure. This dentist put 17 crowns on my son's 20 teeth!! We didn't know he was doing this until after it was done. I feel like 17 crowns was excessive. My son's teeth were not that bad, although, I have yet to see or have the x-rays explained to me. I'm worried because my son's teeth are already so close together and now there's crown right next to crown. It seems to me that this would cause a lot of pressure in his tiny mouth. My question is, have you or any of your colleagues ever put that many crowns in one mouth? I was trying to do the right thing by my child, trying to maintain good dental health, but I'm afraid I put him through unnecessary pain. Our follow up is scheduled in a month. Thanks in advance. It is not uncommon for EEC cases (early childhood caries) to require several crowns, fillings and other things including removal of teeth. It can be pretty aggressive. I do see many cases where there is so much decay that many teeth are treated in one way or another. In fact, just a week or so ago, I had a case (a preschooler) who needed 10 crowns and two fillings. I recently saw my family dentist with my five-year-old son who had his first set of x-rays and multiple cavities were found on the sides of his molars to recommend we see the pediatric dentist to see if they wanted to do multiple fillings at once or what they thought. I was told by the pediatric dentist that one filling only needed to be filled but during the exam and review the x-rays she noted that one of the front teeth had a darkened area. She was convinced that this was an infection and that he needed to have it removed. I then touched base with my family dentist to see what she thought she said she was aware of the dark Addario the x-ray was not concerned I was taking a watchful approach since she was not having any signs or symptoms of infection . My husband and I are both medical practitioners. We would prefer to take a conservative approach. I am not concerned about my son not having a front tooth I have just do not want to perform any unnecessary procedures . Do you have any advice for us? And is there a case the dark and dairy on x-ray is just root death and it's not an infection? Well, signs of an abscess are swelling, a fistula, pain, mobility, and a dark area on an x-ray. I can't say it's never been seen, but usually that dark area on the x-ray is pretty indicative of a dead tooth, and abscess, especially if it has a history of a cavity or trauma. (Therefore, in a baby tooth--need for removal). I have seen teeth with a pulpotomy with that radiolucency where I will watch that for a while and sometimes it will become stable and not require removal. So long as there are no other signs or symptoms, and so long as I can monitor it for the other signs or progression. Just remember an abscessed tooth does have the potential to damage a developing permanent tooth. You didn't mention his age, but I surmise a preschooler-therefore, potential for a more elaborate methods to achieve any treatment.--all that comes into play as well. I'd have your pediatric dentist monitor this as they see fit if you choose no treatment. I recently took my 18 month old to his first pediatric dentist appointment. They are recommending we go to the hospital for 6 crowns, 2 steel crowns on his upper molars and the NuSmile crowns on his 4 upper incisors. I've never heard of crowns on a child this young. I was wondering if I should post pone until he is a little older for the anesthesia? Also are the white faces crowns the best option? When the white comes off will there still be a crown underneath or would it be another procedure because they have to be replaced? In a child this young is it likely the white will last a few years or just a few months? I worry about waiting because 2 of his incisors have already chipped and I don't want to wait until the only option is to just pull them but equally concerned about anesthesia at his age. I appreciate any thoughts you have on my questions. I actually just got back from the operating room with some general anesthesia cases. I have done cases on 18 month olds, which is about as young as you would normally go to the OR. We do lots of 2 year olds. Now, crowns are all different, but if that is what was recommended, then if you want a restoration (rather than removal of the tooth) then that may likely be the best option. NuSmile makes different kinds of crowns, so I have no idea on those, but stainless steel in the back is pretty standard procedure. Some NuSmiles for the front are stainless steel with white facings. Kids are rough on their teeth, and the longer you expect a restoration to last, well, there is the possibility it could wear down, come off or need further work in the future. What crown to use depends a lot on how much tooth structure is lost from decay , the bite, and other factors. I'd recommend reading more on crowns, fillings and the like in my links to other blog posts here.